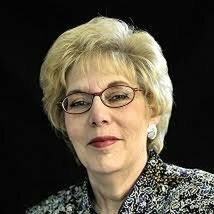 Beverly Goldstein has provided voters with clear stances on key issues by responding to the 2018 Political Courage Test. Pro-life Do you generally support pro-choice or pro-life legislation? No Do you support the regulation of indirect campaign contributions from corporations and unions? I support the elimination of the US Dept of Education in order to bring these tax dollars back to the states to use for the purpose of educating the children of the USA. No Do you generally support gun-control legislation? Yes Do you support repealing the 2010 Affordable Care Act ("Obamacare")? Yes Do you support the construction of a wall along the Mexican border? I also support making it illegal for the United Nations to continue to select and import to the USA refugees from the Middle East. No Do you support the legalization of marijuana for recreational purposes? Yes Do you support increased American intervention in Middle Eastern conflicts beyond air support? This is not blanket support. Every conflict, in every time, has its specific circumstances. My correct is that I would never rule out the use of ground force to prosecute a war. OH-11 is 15th poorest district of 435 Congressional districts. Primary cause of massive poverty: adult illiteracy. Establish reading centers in D-11 affected neighborhoods using HUD funds & other appropriate fed funds, tie reading centers directly to Ohio job training efforts, and to local/regional employers looking to hire. Local office will create timely databases of who needs reading programs, which agencies/organizations are providing job training, & which employers are hiring. Staff will be required to have ongoing communication with all 32 municipalities, and attend relevant local meetings regarding other poverty-based issues. My federal office will focus on national security funding priorities.